FHA mortgage loans are a popular home financing choice for many first time home buyers in Georgia. The Georgia FHA mortgage program provides several benefits, keeping in mind the budget difficulties of many homeowners who are considering purchasing their first home. Compared to most traditional mortgage loans, the FHA mortgage loan simplifies the process for the buyer. In addition, the FHA mortgage loan consists of a very low down payment, which makes it a lot easier for homeowners that may have problems saving for the large down payment necessary by common home loans. Secure fixed loan interest rates – One of the big advantages of your Georgia FHA loan is the benefit of having a fixed 15 or 30 year interest rate. In comparison to other regular loans in which the loan interest rates change, the rate remains the same for the total length of the loan. This time frame is typically for 30 years. Because of this provision the home buyer can budget their predetermined monthly installment ahead of time. Low down payment – The Federal government insures or supports FHA loans, therefore the borrower has very minimal charges in the process. FHA mortgages require a minimum 3.5% financial commitment from the applicant. The loan does allow for the home seller to pay for all closing costs, up to 6% which is frequently enough to take care of almost any property sale. Simple to Qualify – Pre-qualifying for a Georgia FHA home loan is pretty simple. Because the government insures your home loan, the creditors and lending institutions make it feasible for anybody to qualify when they meet the base requirements. The primary components of qualifying are history of credit, earnings and employment history. Adjustable Rate Option – The FHA mortgage loan started due to the stretched budget constraints of first time buyers. That’s the reason the FHA features an adjustable rate option ( ARM) for home buyers, which calls for a relatively low payment and interest rate. There won’t be cash reserves required – In contrast to most conventional home loan programs, Georgia’s FHA home loan is a very tempting option for first-time home owners that have a little money saved. First Time buyers should find out what to expect before starting the FHA mortgage loan application process. Being prepared will always boost your opportunities in successfully getting the FHA mortgage approved. Here we list a few steps and some things to consider. In 2016, a FICO score of 620 or better is required for the 3.5% down payment with the FHA. If you have had a bankruptcy or foreclosure, you will have to have maintained a perfect credit score since then (4 years and 5 years respectively) regardless of recent credit worthiness. Complete the short Information request for at www.FhaMortgageSource.com that lets us know what you have and just what you need. It will permit the FHA mortgage professional to call you to discuss your primary goal. Afterwards a full mortgage application will be completed that details everything about you, the borrower, which is used for determining whether you are qualified for a mortgage loan or otherwise. The interest rate and terms of the loan will also be identified largely by the data in your loan application form, credit scores, etc. In the event the application is pre-approved, you will get the disclosure records that are essentially initial loan documents which have all the minute details in connection with terms and conditions, loan rates, cost and installment payments of the home loan. This has to be agreed upon and returned along with documents such as your bank account statements, IDs, personal references, etc., for validation purposes. Usually these documents are prepped and readied before the loan application is submitted to the loan provider. 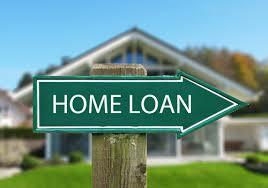 Please reach out to us today for any questions about the FHA purchase or refinance program. by calling 800-743-7556 or just submit the quick Info Request Form on the right side of this page. Mobile users will find the short info request icon at the top of this page.